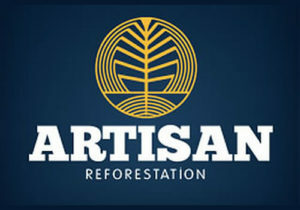 Artisan Reforestation is accepting all planter applications for a few open spots in our camp. An ideal candidate will have a minimum of 2-years of BC experience and seek a safe, professional, and caring working environment. We are a small, energetic, and dedicated camp of 50 experienced planters based out of Fort St. James, BC that like to focus on the details. We have a full spring, summer and fall season lined up with 60+ spring & summer expected planting days and 15+ fall planting days. All of our contracts are with long-standing local clients. 75+ day spring, summer, fall season. Full-time complimentary camp MASSAGE THERAPIST. 2.5 cent average increase on 2018 rates—prices start at 15 cents. Full planting days—short drives and no blocks moves during the day. Cater to vegetarians, vegans, gluten-free, allergies, etc. Thank you for your time and feel free to contact me if you have any questions about our company, culture or upcoming season.